Your mail delivered. After dark. Mail delivery in cities is trending later, with more mail being delivered after 5 p.m., especially in places Atlanta and Washington D.C. But thanks to cost-cutting measures and a shrinking work force, U.S. Postal Service letter carriers in cities are delivering mail in the evening as many as two days a week, or more. And if you live in Atlanta, Washington D.C., Richmond, Va., Arlington, Va., or South Florida, mail is coming to your door after 5 p.m. more than four days a week -- or around 70% of the time, according to a new report this week by the U.S. Postal Service Office of Inspector General. The report focuses on delays in the Washington D.C. area and points out that mail carriers are putting their lives in danger with the late deliveries. After all, it means that mail is being delivered after dark a lot -- especially since the sun sets around 5 p.m. on several days in the winter. 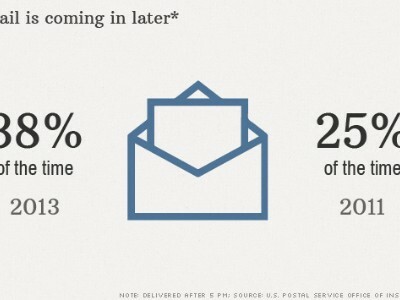 Nationwide, mail in cities was delivered late about 38% of days last year, compared to 25% back in 2011. The postal agency's goal is to complete deliveries before 5 p.m. 95% of the time. The inspector general's report suggests that the delays correlate directly with the Postal Service's move to reduce its workforce. Over the past year, Postmaster General Patrick Donahoe has touted that the postal workforce is at its lowest level since the 1960s, thanks to several offers of bonuses to entice those eligible to retire. The postal service has also trimmed its staff by consolidating mail processing plants, which has led to job losses for those who decline to move when offered positions at other plants located further away. 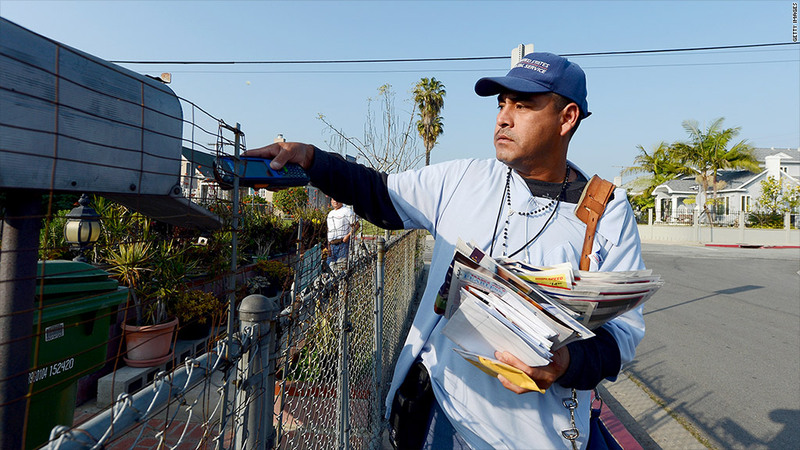 In 2013, some 5,200 fewer letter carriers clocked in each day to deliver the mail compared to 2011. That's put a burden on the surviving workforce -- 15,000 more letter carriers reported ending their delivery route after 5 p.m. in 2013. 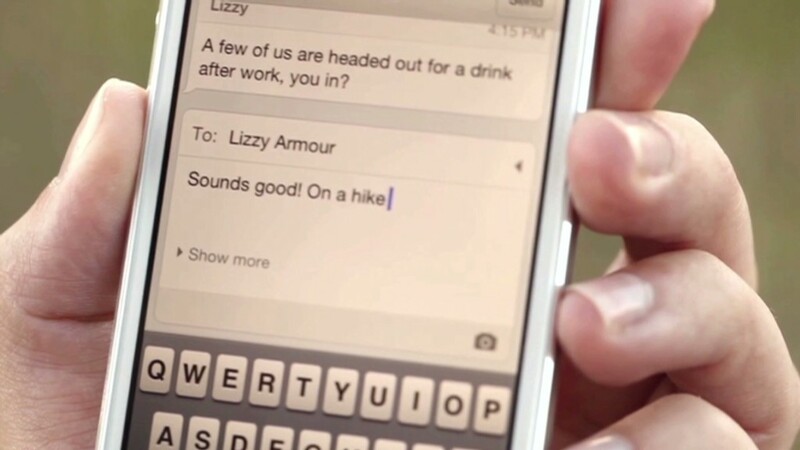 The Postal Service said that employee safety is a top concern and it is investing in new technology to help safeguard employees delivering mail later. "Later-day deliveries are sometimes unavoidable due to inclement weather, traffic issues or other unplanned events, as well as seasonal fluctuations in mail volumes," said spokeswoman Darlene Casey in an emailed statement.